Yuri is known for his wild, crazy and innovative style. He is completely unpredictable, as he can play almost any opening. This makes him a very streaky player. He has recently gotten his last IM norm and has officially received the IM title. 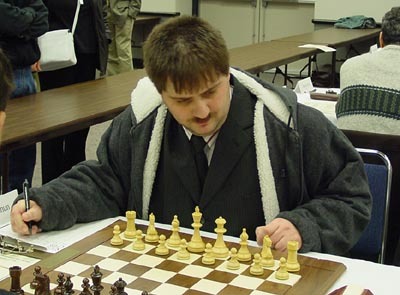 Yuri has been playing b4 a lot these days, and it�s always exciting to see him play the Orangutang against GM�s, although most of the time these experiences are not pleasant ones for Lapshun. In his last GM Orangutang experience, against Stripunsky, he had a much worse position after 7 moves. Yuri is a very strong fighter and was able to hold the GM to a draw. Yuri has shown that he was severly underrated at 2450 and is now always has a chance for the top prizes at the NY Masters. He is ranked 61st in the nation as of August 2004.